• Category 6 jack has been uniquely designed adopting HellermannTyton's globally tried and tested 10-Pin technology which guarantees superior performance and connectivity. • Category 6 jack has been uniquely designed adopting HellermannTyton's globally tried and tested 10-Pin technology which guarantees superior performance and connectivity. • Standard keystone style interface provides flexibility in connecting components. • Unique strain relief design secures cable terminations. • Configured to both TIA 568A and 568B wiring schemes for installation versatility. • Suitable for air handling spaces, ideal for installation of WAPs and IP devices. HellermannTyton's GigaBand flush Category 6 modular jack is designed to “future-proof” installations. Its patented design uses innovative crosstalk-cancellation technology. The performance of the GigaBand system provides significant margin over TIA Category 6 (ANSI/TIA-568-C.1) and ISO Class E (ISO/IEC-11801, 2nd edition) requirements. The GigaBand system will easily support applications such as Gigabit Ethernet. ETL tested and approved for Category 6 component compliance. 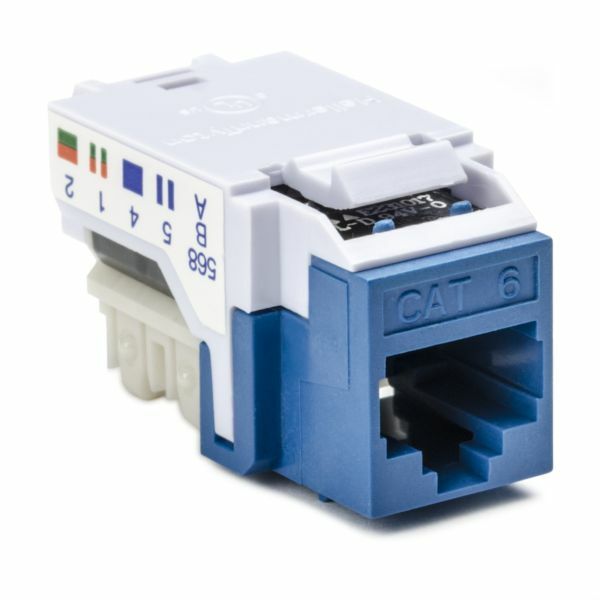 The performance of the Cat6 system provides significant margin over TIA Cat6 and ISO/IEC 11801 requirements.